The LGDA is proud to participate in Penn Medicine Orphan Disease Center’s 2018 Million Dollar Bike Ride, to be held on May 20, 2018 in Philadelphia. This year, the LGDA is joining forces with the Lymphatic Malformation Institute (Team LGDA/LMI) with a goal to raise $50,000. This is a very special fundraising event. Penn will match our donations dollar-for-dollar – up to $50,000! That means when we reach our goal, we will have raised $100,000 for research! We love a fundraiser that can double your investment! Scot Wiesner, LGDA Chairman, is organizing our team this year and is looking for cyclists to ride with him. The ride takes the cyclists on a scenic view of Philadelphia, with 13/34/72 mile options. 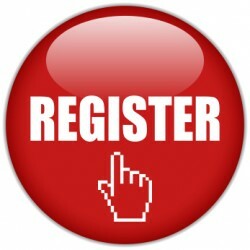 Upon registering for the race, make sure you choose Team LGDA/LMI. You will have the option to create your own fundraising page to share with family and friends ($250 minimum goal) – and in gratitude for your support, you will receive a complimentary cycling jersey! If cycling isn’t your forte – please consider attending and cheering on our team! After the race, the team typically chooses a local favorite restaurant to celebrate the day. It is a great chance to meet other supporters of the LGDA and LMI. Contact Scot if you have any further questions. Don’t forget to choose Team LGDA/LMI when you register! Hope to see you in Philadelphia!